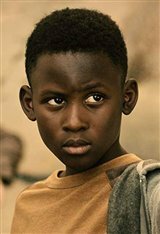 Evan Alex is an American child actor best known for playing the dual role of Jason Wilson/Pluto in Jordan Peele's Us (2019). Alex got his start on the web series Kids Reenact in 2016, in which he'd participate in parodies of TV shows such as Empire and The Voice. He would then go on to star in a number of shorts and TV series, most notably making appearances on Kidding, Sesame Street, and as a regular on the children's comedy series Mani from 2017 to 2018, playing Jake. Alex can also be seen in the TV movie Icky Free Kids.